If you’re new to mixing, I want to make sure I’ve got you covered. There are a million things to remember when it comes to mixing your song after it’s recorded, but here are my top two tips, what I consider the two most important things to get right. 1. No plugins allowed until it’s already sounding great. Your biggest temptation when you start mixing a song will be to grab a bunch of plugins and start pushing buttons and turning knobs. But the mix isn’t ready for plugins yet. Yes, you will need plugins, but not right away. Your first job is to get a killer mix with zero plugins. How do you do that? You’re only allowed to move the faders and pan knobs/sliders. That’s it. Force yourself to get the mix to sound as good as possible before you reach for your first plugin. I try to get the song to the point where it makes me move to the music or have an emotional response…WITHOUT plugins. That’s when I know I’m on the right track. Skeptical? You should be. Don’t blindly believe me. Go try it for yourself. If you get THIS part right, the rest of the mix is much easier to do. Be careful with the solo button in your mix. It doesn’t do you much good to know what the snare drum sounds like by itself. What matters is how it sounds in the mix. I’ve mixed so many songs where the solo’d snare drum and the snare drum sound in the mix are VASTLY different. Making decisions in solo doesn’t help. Sure, you can pop into solo to find a frequency or tweak a compressor setting, but don’t stay there long. 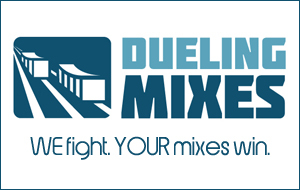 If you follow this tip, mixing will be more difficult for a while, but it’ll pay off. I promise.